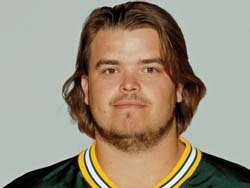 According to the website profootballtalk.com, the Kansas City Chiefs have worked out former Green Bay Packers tackle Mark Tauscher on Tuesday. Tauscher is returning from surgery on his left knee after suffering an ACL injury last December. Tauscher (pictured) wasn’t expected to return until October. Packers general manager Ted Thompson this summer said he wouldn’t rule out re-signing Tauscher, but there’s been no indication that the Packers are currently interested in Tauscher.